This is 57" x 66"
This quilt is very easy to make. 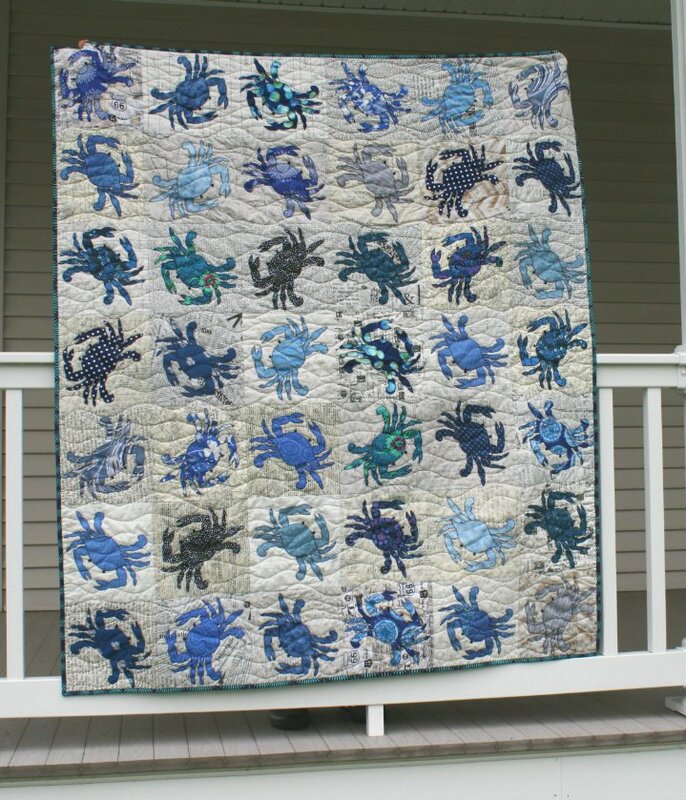 The crabs are pre-cut and pre-fused and the background squares are pre-cut. This detailed easy-to-read-pattern includes pictures. Everything to make this quilt is included in the kit; even the buttons for the eyes and the binding. The backing and batting are not included. Quilt Vine is located on the Eastern Shore of Maryland. Anything that has to do with the Chesapeake Bay e Crab is very popular here. This kit is done in red crabs to represent cooked crabs. It is traditional to eat the crabs on a picnic table covered with newspaper. The one blue crab represents the one the got away.